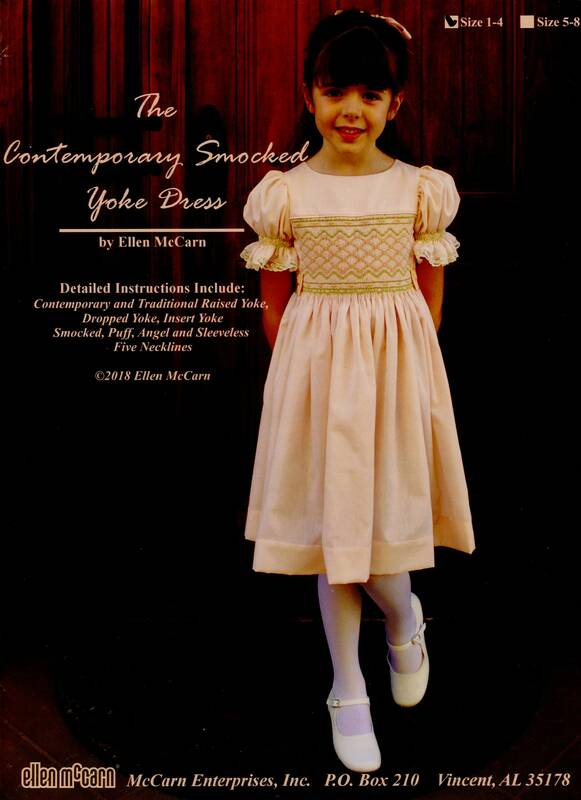 What makes this smocked dress pattern 'contemporary'? The bodice is more fitted to the child's body for a more contemporary look. The added side gusset allows for the skirt to be gathered around the entire waistline for additional twirl factor. There are 3 bodice styles, 5 necklines, 4 sleeve variations, and 2 sashes and a tabbed belt. That gives you 180 possible combinations all in one pattern! 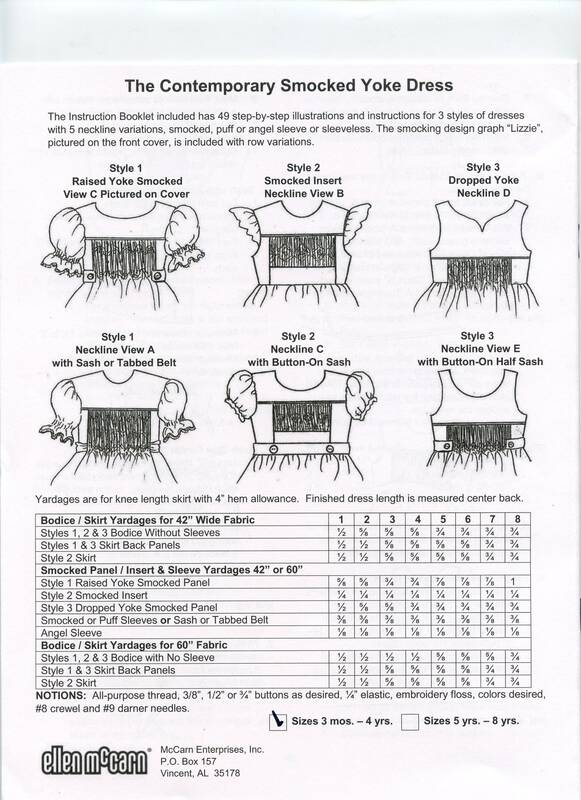 The Instruction Booklet has 49 step-by-step illustrations and instructions for 3 styles of dresses. Ellen's instruction booklets are so good that I have even recommended buying the pattern just to get the instructions. The smocking design graph "Lizzie", pictured on the cover, is included, with row variations. Sizes 1 - 4 yrs.